Fill in the highlighted areas. after you are done select close to save. Once the lead is completed you can now do a quote for that lead as stated below. To reach the quote list screen click the estimate list button on the top toolbar menu and you should see something similar to the below image. 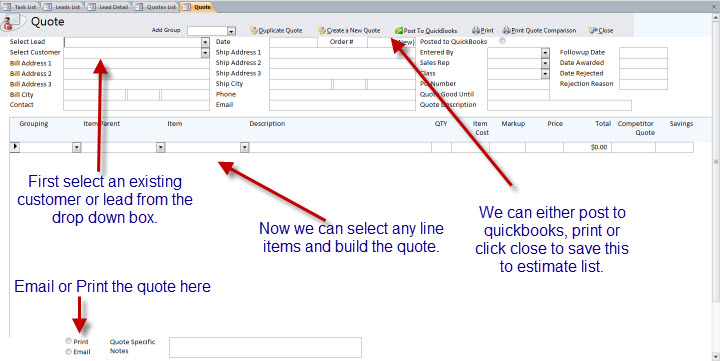 Click Enter a quote as shown below to reach the estimate detail screen. Once you have clicked the Create a New Estimate button as shown below you should reach a screen that looks similar to the one below.